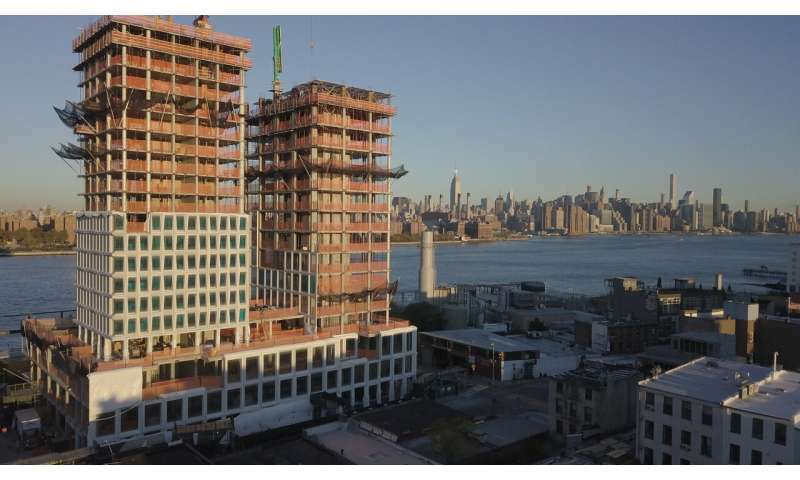 A residential and commercial tower under development in Brooklyn that is changing the New York City skyline has its roots in research at the Department of Energy’s Oak Ridge National Laboratory. 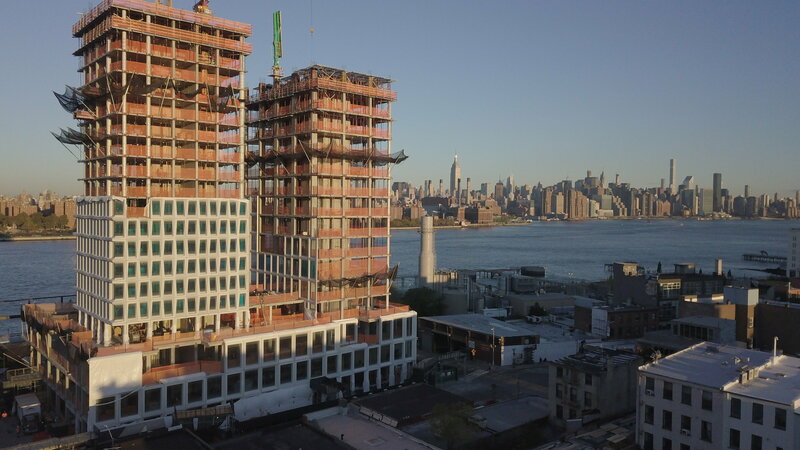 The tower’s white precast concrete façade rising from the waterfront site of the former Domino Sugar Factory evokes the form of a sugar crystal – a pattern created from 3D printed molds produced at DOE’s Manufacturing Demonstration Facility at ORNL. 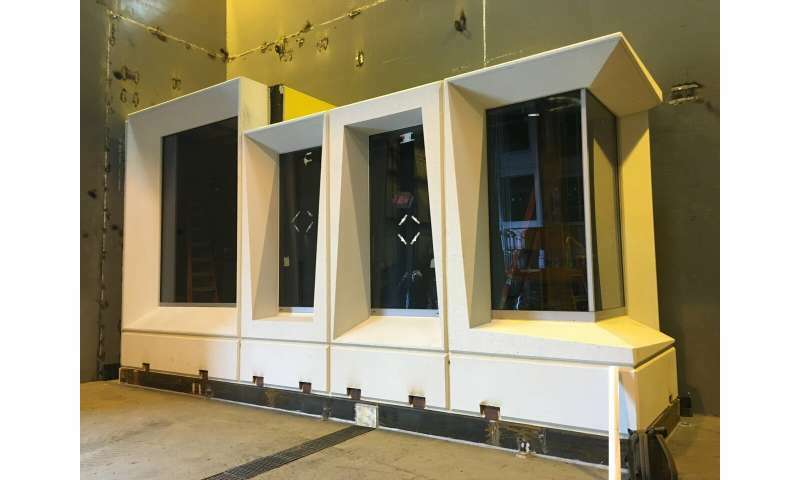 When Gate Precast, a member of Precast/Prestressed Concrete Institute (PCI), was awarded the façade of the Domino building, ORNL researchers saw the building’s tower as the perfect platform to demonstrate that Big Area Additive Manufacturing, or BAAM, technology could rapidly manufacture molds suitable for precast concrete manufacturing. 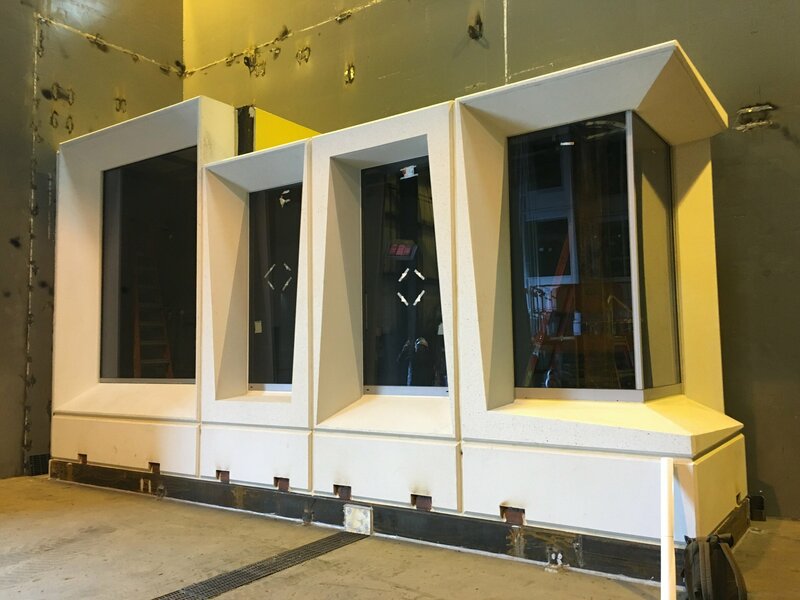 Building technologies and manufacturing researchers at ORNL collaborated with Gate Precast and PCI to design and produce molds out of carbon fiber reinforced acrylonitrile butadiene styrene (ABS), a common thermoplastic compounded with chopped carbon fibers. Conventional wood molds are manually produced by skilled carpenters, who are often in short supply in the labor force. 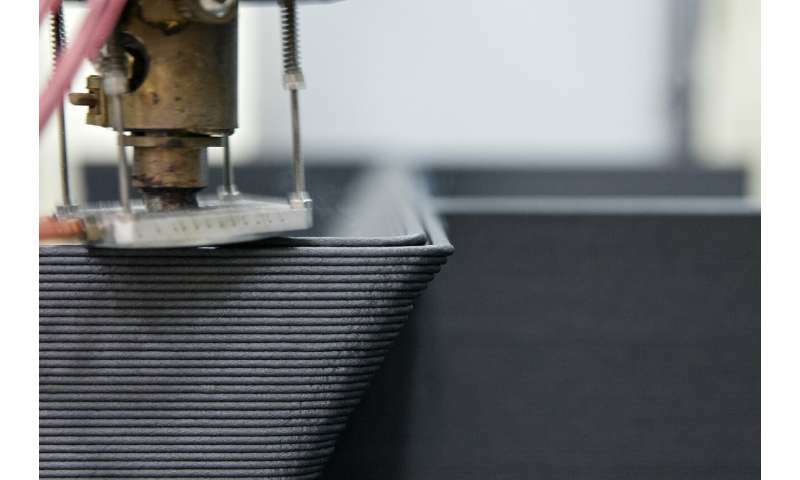 In general, wood molds produce fewer castings because they are significantly less durable than molds printed with carbon fiber reinforced ABS. 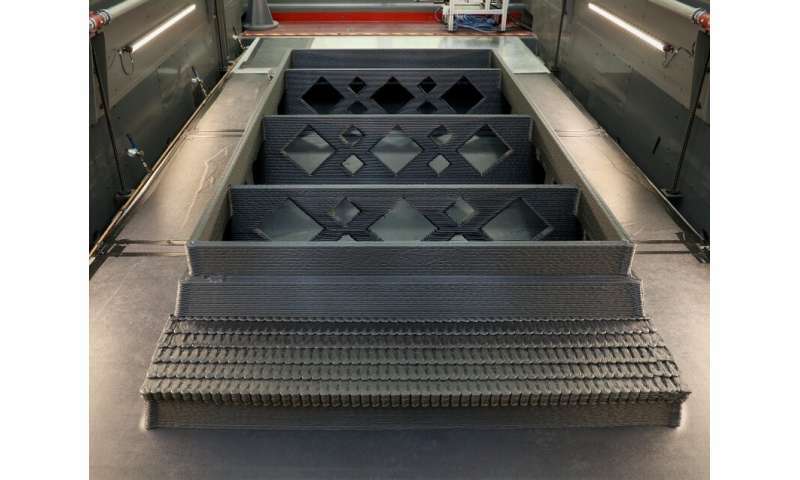 3D printed molds begin with computer-aided design (CAD) models, which are sliced layer by layer to develop toolpaths that drive the printhead. 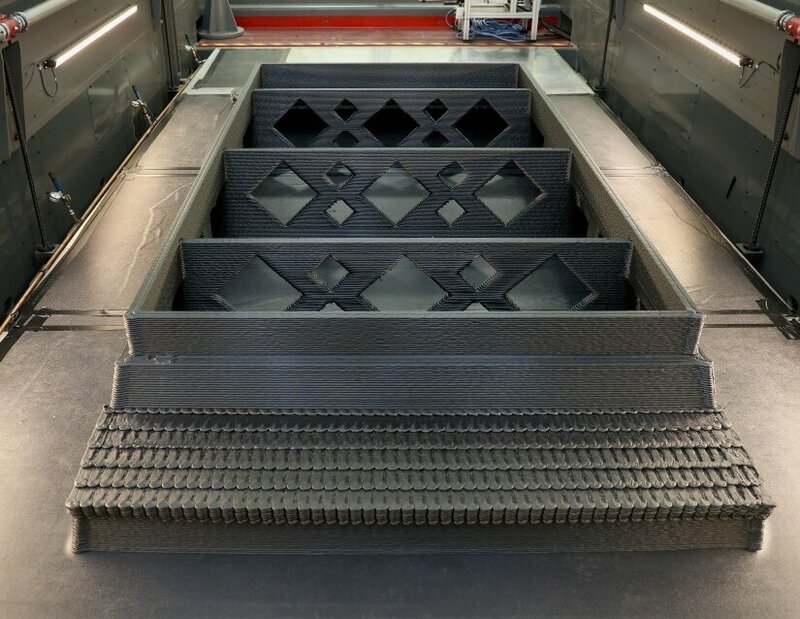 The printer executes these toolpaths layer by layer by extruding molten polymer to form the final part. As the Domino development takes shape in New York, it’s not only attracting attention for its unique look and design but also for its potential.